Countertop for the toilet trimmed and fitted. 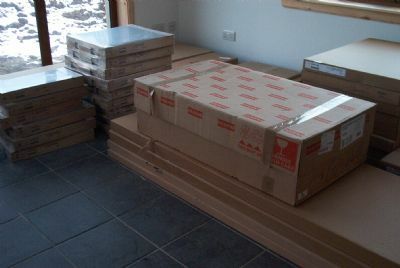 Big tidy-up including moving all the kitchen cabinets and worktops into the sun lounge from the TV lounge so we can start tiling tomorrow. More, more, more. 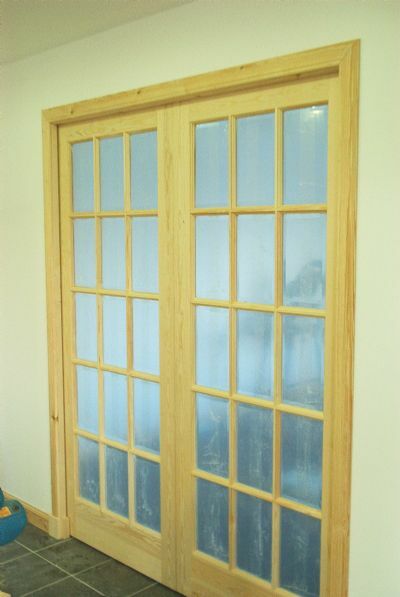 More painting . . . . more door facings . 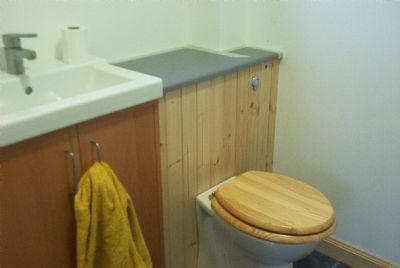 . . more wash basins . 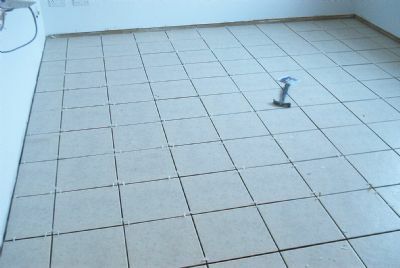 . . and more tiling - TV lounge finished! 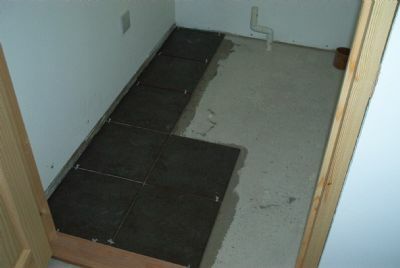 And there was still time to start on the cloakroom tiles. 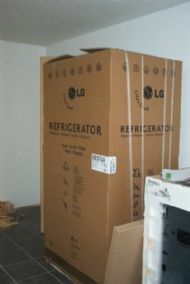 We take delivery of a large fridge/freezer and a cooker. 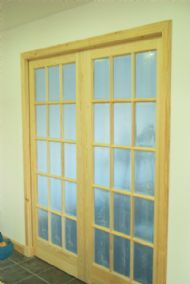 Alex finishes tiling the cloakroom and grouts the utility room; Joan finishes the first coat on the upstairs door facings and Jerry and Stuart face the pocket doors into the lounge and dining room. 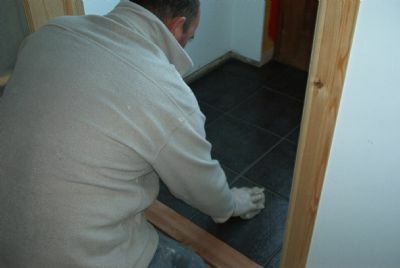 Alex is very relieved to fit the last of the floor tiles in the porch. 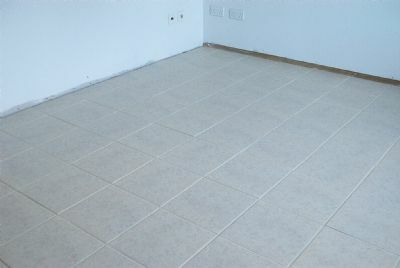 The last of the tiles are grouted - the TV room looks well finished with ivory grout. 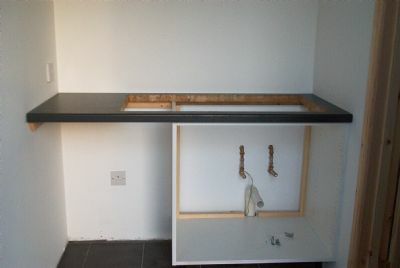 We make a start on the sink unit in the utility room.